Is the LED light bulb dimmable? Most LED light bulbs now are made to be dimmable, but there are still some on the market that aren’t. The LEDs that are made to be dimmable have different circuitry in them that allows for this. When dimming your LED bulbs on a dimmer switch, you need to make sure before buying a LED bulb that it says that it is of the dimmable kind on the package. If it’s not, it won’t work on a dimmer switch. Is the dimmer switch LED compatible? Your old dimmer switch that functioned with your incandescent bulbs is made to handle a higher wattage range, since incandescents use a lot more energy than LEDs. Simple as that. LEDs have very low wattage, and the dimmer switch for the incandescent bulbs doesn’t “read” their circuitry very well. This is why when you put a LED bulb on an un-compatible LED dimmer switch, the LED bulb flickers, or doesn’t dim at all. Need A New Dimmer Compatible For Dimming Your LED Bulbs? Once you’ve figured out that your new LED bulbs are in fact the dimmable type, hop on over to your local hardware store and grab yourself a new dimmer switch that is compatible for dimming your LED bulbs. Not handy? No problem! 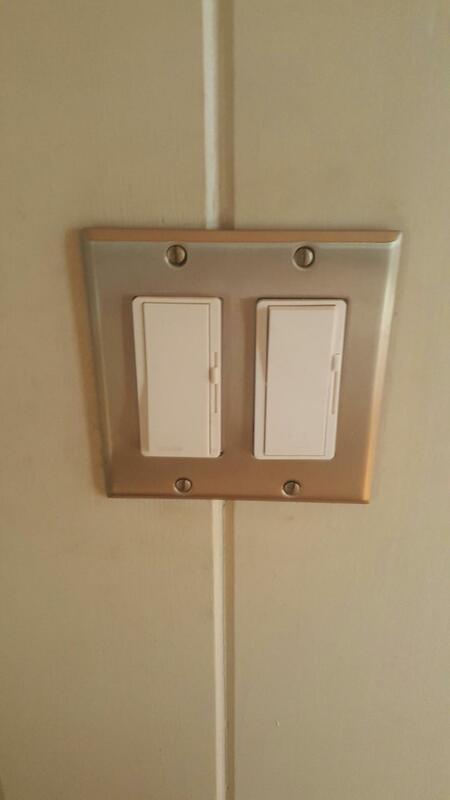 One of our licensed master electricians at KB Electric LLC can install your new LED dimmer switch for you. If you aren’t too sure which dimmer switch to purchase, we can also help with that as well. We know which brands are best out there, and we can help with which styles of dimmer switches to choose. There are many different types out there, and we can help with which works well for your home so that your LED bulbs can dim properly and efficiently to suit your specific home’s decor, the style you love most, etc.